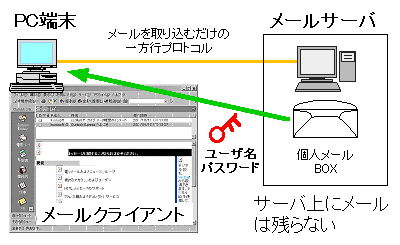 Implementation of the open source Webmail system. Abstract: We had adopted Microsoft Outlook as the standard office PC mail application within our organisation, and provide end-user support for it over the years. 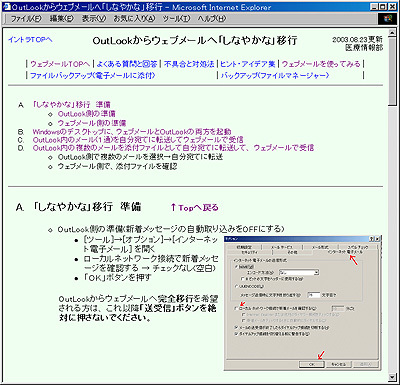 However, Outlook has the inconvenience of only being able to send and receive email from a computer that has been pre-configured, configuration itself is awkward, and regular occurrences such as personnel being relocated within the organisation and the need to move their data from one PC to another, generated numerous problems and a heavy work-load for support. Webmail is an alternative approach whereby email is sent and received via a web browser. 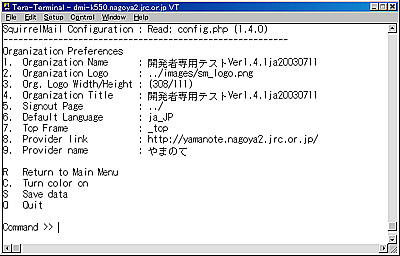 This enables the sending and receiving of email from any computer anywhere, as long as the computer has a browser and is connected to the network. SquirrelMail is an open source webmail application that supports the IMAP4 protocol. In order to resolve the problems we had with the use of Outlook, we implemented a webmail system and have started providing this service for our end-users. 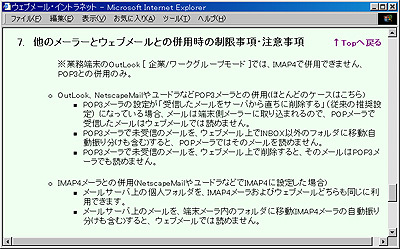 SquirrelMail Japan. 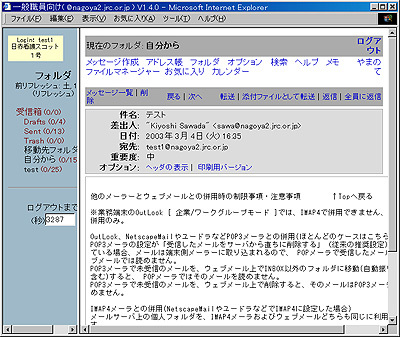 スクイリルメール日本公式サイト: http://www.squirrelmail.jp/ , 2003. 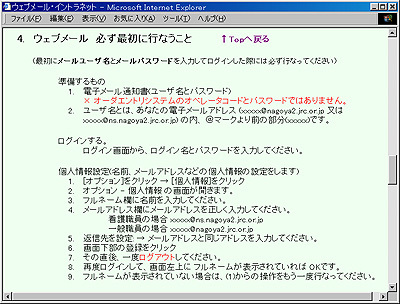 廣川 類 他. PHP4徹底攻略: ソフトバンク パブリッシング, 2002. 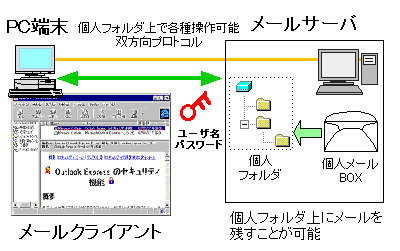 廣川 類 他. PHP4徹底攻略実践編: ソフトバンク パブリッシング, 2002.